Hello all. 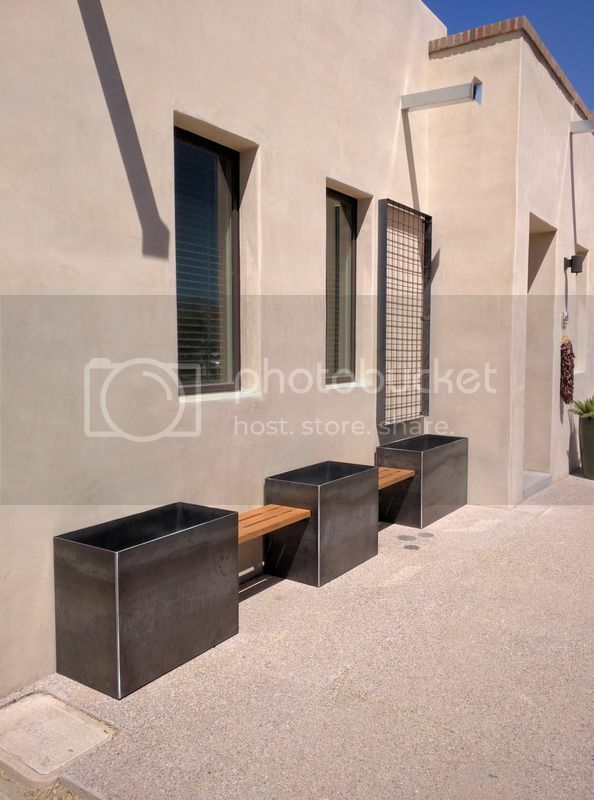 I am a Fabricator in Tucson, AZ who does mostly metal work. I am just now starting to add woodworking into my work, and want to start leaning towards making more furniture and pieces that I don’t have to install on site. My Dad has a small wood shop at home so I have been using his tools recently. This past week I was looking to get some of my own equipment and ended up buying a package deal from someone on CL. 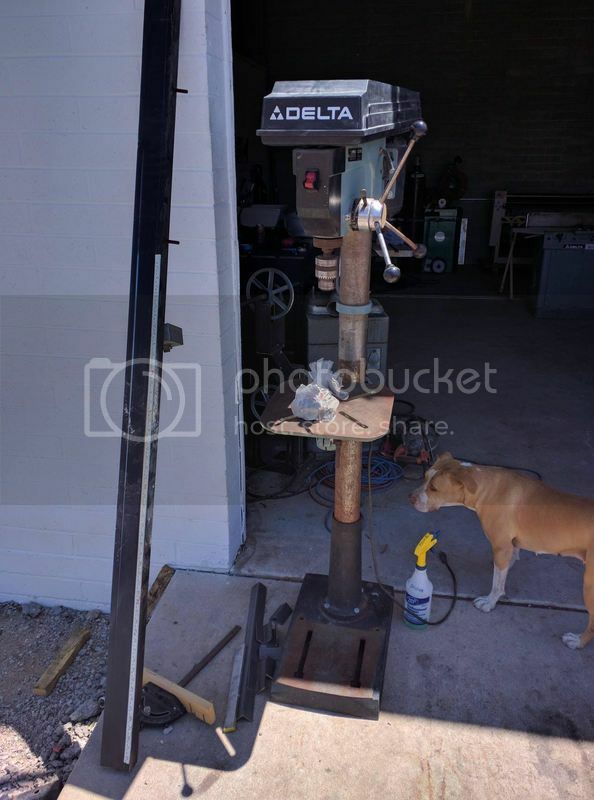 It is all Delta tools except for an import dust collector. 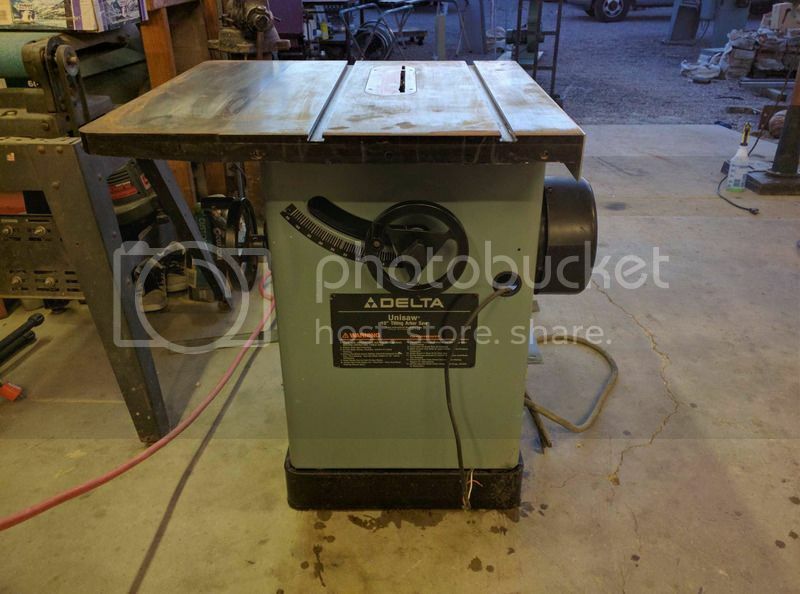 I got a 5hp Unisaw with the table and unifence, a DJ-15 jointer, a Floor Drill Press (15” i think), an Edge Sander, and the 3hp dust collector. 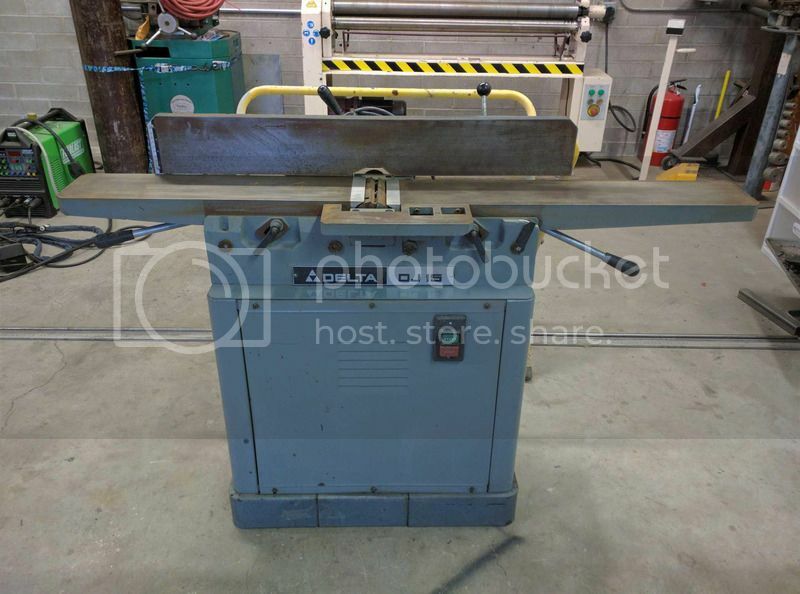 I really wanted the table saw and the jointer, and never having used an edge sander I dont know how useful it would be but this one is a little rough and needs some work to be used again. 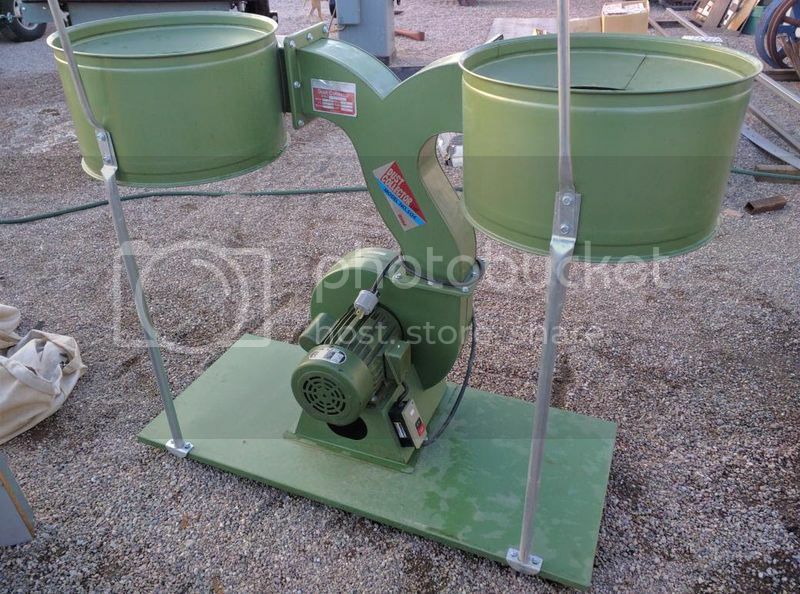 I figure I will either sell the dust collector, or use the parts from it to make a cyclone style collector. The drill press is nice to have too even though I have a few already. I paid $1200 for everything, which I think was a fair deal for both parties considering the machines need some love and were buried in the back of a shed. Not the best deal I have ever gotten, but hopefully you guys tell me I did ok. I am curious what you have to say about the edge sander, and if you think it is worth fixing up. Should I just sell it as is to get it out of my way? I’m not sure what to do with that yet, or with the DC. Anyways here are some pictures of what I got, and a picture of the first customer project that featured some woodwork with it I did this last week. Thanks for reading! $1200 is a great price for everything you got, even if they do need a little love. 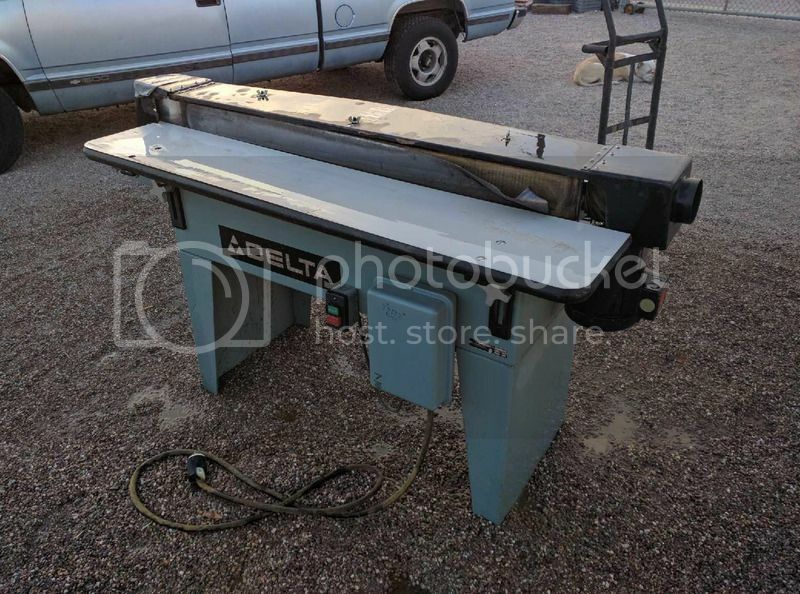 If the edge sander is able to returned to working condition and you have the room, they are a great addition to a shop. I don’t think many people appreciate how useful they are until they actually use one. Oh, and welcome to LJ. I think you got a pretty good deal. I’ve never used an edge sander but I can see how it would be useful. If you fix it up and don’t like it, I bet you would be able to sell it for a third of your total investment. Welcome to the site, Joh. As far as the sander goes, if you’ll give me an address, I’ll be there within the hour to get it out of your way, therefore, you will have more floor space for your work. Ok, now, I’m serious. From the picture you posted, there is nothing wrong with the sander. Looks like the platten backer is worn, but is available. I just can’t recall the name of that stuff. You’ll use it more than you think. Is the sander 2 sided or is it just one working face? Looks like you got a steal in the purchase of this stuff. It could be a stealth gloat. Congratulations. It looks like a nice great deal. That’s a great start on some very nice machinery. You’re starting off ahead of where many of us end up! This is a good time to get them all cleaned up, lubed, dialed in, and equipped with good quality sharp cutters. Thanks for all the replies. The table surfaces of the sander have seen better days as well as the backer. I actually have a need for a mini time-saver style sander (metal application), and am toying with the idea of stealing the parts from the edge sander to help with building one. I started to clean up the rust on the saw and jointer last night. I also ordered the blade guard for the jointer, since the guy who sold them to me said he never used it and had not seen it in years. I thought about ordering a spherical head for it, but I would rather put that money into a wider jointer later. I am very tight on shop space as it is, so not sure if these machines will go into action right away or not.